LIVING FOR A CAUSE IS SO FORTUNATE TO HAVE VOLUNTEERS WHO BELIEVE IN OUR MISSION, WHO UNDERSTAND THE IMPORTANCE OF SMART GIVING WITH POSITIVE IMPACT. HERE IS AMANDA MEDINA SPEAKING FROM THE HEART. Mary will be going to Washington DC next week to participate in the 11th annual National Patient Advocacy Foundation’s Patient Congress. I will be making visits to our representives from New Jersey to speak about important issues that affect the patient access to care issues. www.npaf.org is their site please visit to see the wonderful work they are doing on behalf of the patients here in our state of NJ and others. Living For A Cause is a new non profit dedicated to tangible giving. We provide Goods or Services to deserving charities. We target an immediate need and fill it. We do not give money therefore you the donor can see just where your money has gone.Through donor contributions and fund raising alliances with various for-profit ventures, Living for A Cause creates streams of revenue which are channeled to charitable groups in the form of food and medical supplies, laboratory materials, and other tangible items. Living for a Cause is pledged to carefully manage all funds entrusted to it by social enterprises and the donor community. It cultivates an efficient, transpareent and accountable culture within its own administrative body, and seeks the same in the charities it benefits. Therefore it supports only organizations that demonstrate an efficient model of social responsibility, one that limits fund raising and administrative costs to maximizes the positive impact of their mission. The fundraising initiative that links Fine Art and Fine Jewelry with deserving charitable causes. The idea behind Art Alive Now and “artful giving” grew out of an understanding that most charitable organizations need help raising funds and awareness NOW. In this economic climate, Executive Directors and their fundraising staff & board members are working harder than ever to compete for donation dollars. We know. Our group of philanthropic entrepreneurs all recently left well known national non-profit organizations with the need to create a more direct way of giving. A model that would serve to help the fundraisers with their goals to create IMPACT NOW. HERE’S HOW IT WORKS: Art Alive Now and Gallery of Jewelry presents fundraising opportunities to charitable organizations by offering a 24/7 virtual art/jewelry buying and donation for your website. It’s that simple! You simply promote an Art Alive Now and or Gallery of Jewelry link on your website to your board members, volunteers, staff and all constituents. This link then brings viewers to a site featuring an exhibition of paintings and limited edition prints by many of the greatest names from the world of the performing arts. Gallery of Jewelry offers many choices of fine jewelry at all price levels. We therefore are able to meet most customers buying needs. After each purchase we then give a portion of all sales directly to YOUR organization. Art Alive Now also offers a percentage of the proceeds to you directly. Every purchase would generate funds to your organization. We would also include your name and mission on our website generating awareness for your organization. We have a popular following, so viewers to our own site can choose whether they would like to donate to you as part of their purchase through us. It’s a win-win for anyone competing for donor dollars out there. You will continue your great work to host your galas, walk-a-thons, golf tournaments, and wine tasting events. Let Art Alive Now and Gallery of Jewelry work for you 24/7 as well. You may find that you’ll never need to lug a celebrity-signed hockey stick while in black tie attire to a country club again! Art Alive Now can also bring artwork to be sold at any of your fundraising events for silent or live auctions. Included in the offerings by Art Alive Now are unique pieces that cannot be acquired anywhere else in this complete collection. Signed, limited edition prints by the foremost names from the world of music, cinema and the literary arts. Works by Tony Bennett, David Bowie, Tony Curtis, Commander Cody, Mickey Dolenz, Bob Dylan, Jerry Garcia, John Lennon, Marcel Marceau, Henry Miller, Anthony Quinn, Jane Seymour, and Sylvester Stallone, Donner Summer and Ronnie Wood… and so much more! 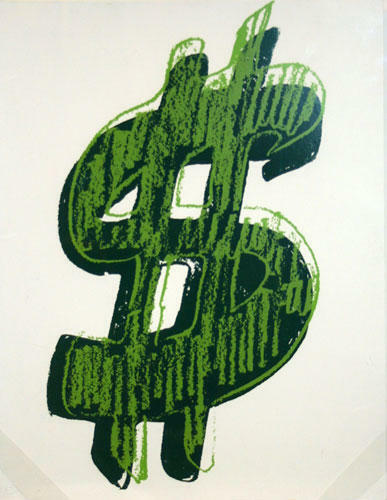 Gallery of Jewelry and Fine Art has access to Andy Warhol, Keith Haring, Chagall, Picasso, Miro and other Fine Artists. We also have a wonderful selection of old movie posters. What has happened in the Gulf is a concern to all of us. It is a tragedy right now beyond measure. We at livingforacause.org are now researching ways to see how we can help in a tangible manner. Whatever we can do big or small will certainly help but it goes beyond that fact. It goes to the heart of giving and being apart of the solution. Making ourselves available to being part of the solution to this tragedy helps to create small volunteer teams across our country. The poor birds and other wildlife that have had to suffer because of this must be one of our concerns. I am sure most of us have seen the photo in the newspapers of the bird in the surf who did not make it. Photos of such sadness must move us into action. We will keep you posted as to what living for a cause. org has done to help share the burden of the gulf coast tragedy.